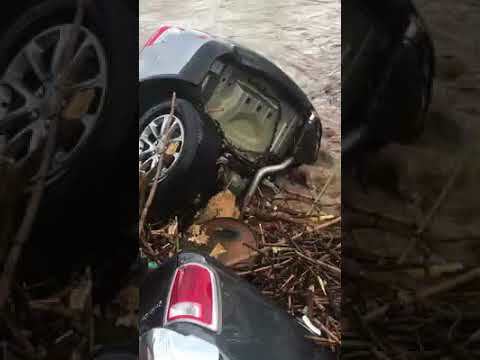 A rushing torrent of muddy water during Saturday's rainstorm sent vehicles floating and crashing into one another at a Route 46 dealership in Little Falls. 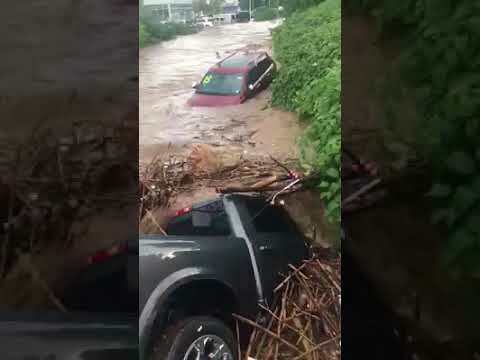 No injuries were reported after the torrent raged through Route 46 Chrysler Jeep Dodge RAM. Route 46 was closed in both directions. (ALSO SEE) HEROES at WORK: Fair Lawn firefighters, with help from their Elmwood Park colleagues, rescued the occupants of a sedan stranded by Saturday's flash flooding.